University of Bath teaching staff will have the opportunity to explore new teaching practice and to network with colleagues from across the GW4 institutions. This year, attendees will work together to design a joint project. The Department of Politics, Languages & International Studies are hosting the Fifth LanGW4 Colloquium, a yearly event aimed at language professionals across the GW4 Consortium. 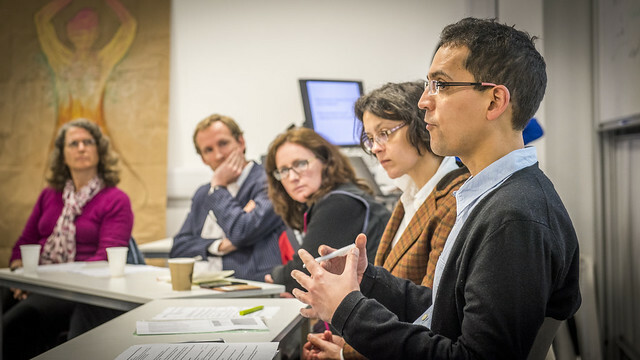 Established in 2014 in Bath thanks to a Faculty Teaching Development Fund, this joint venture supports collaboration and exchange of good practice amongst language professionals across the four institutions of the GW4: University of Bath, University of Bristol, Cardiff University and University of Exeter. The Fifth LanGW4 Colloquium has been financed and supported by the Department of Politics, Languages & International Studies at the University of Bath.